Want to see miracles happen? 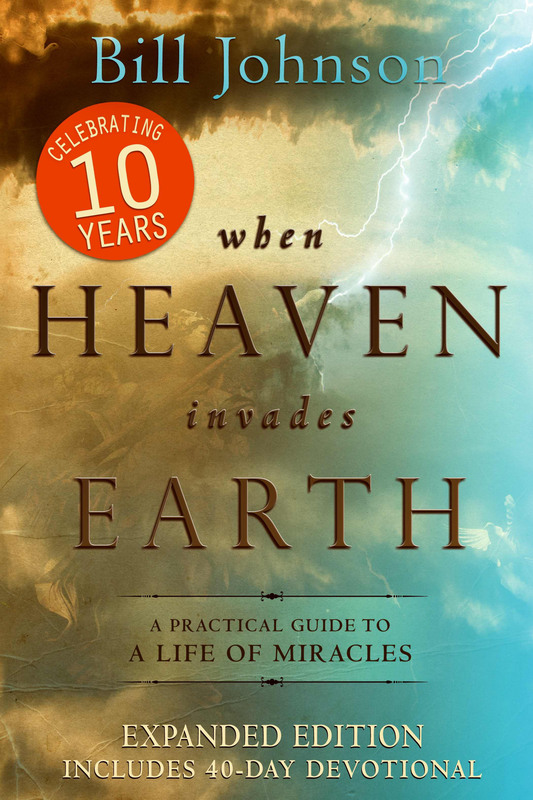 This 10th Anniversary edition of When Heaven Invades Earth is fully expanded from the original and celebrates the continual bestseller with an additional 40 day devotional. Bill Johnson has been a bestselling author and senior pastor of Bethel Church for many years now and continues to write break-through titles that impact the Church and its readers. When Heaven Invades Earth is one such book, detailing a practical guide to a life miracles and the supernatural power of God. This book is for the every day Christian as well as the leaders of the Church to engage with the power of God on this earth and see great things happen. Full of real life stories of the miraculous seen by the very ordinary as he describes it as 'ordinary people who serve an extravagent Father'. When Heaven Invades Earth by Bill Johnson was published by Destiny Image in March 2013 and is our 13664th best seller. The ISBN for When Heaven Invades Earth is 9780768442106. Be the first to review When Heaven Invades Earth ! Got a question? No problem! Just click here to ask us about When Heaven Invades Earth . The supernatural should be natural to God's children. Begin to experience Spirit-filled signs and wonders by embracing the new identity God has given you! Updated to include a new 40-day devotional, Bill Johnson's bestseller offers practical teaching and inspiring stories that will move you to ask for and expect divine intervention in the everyday. It is truly possible for human people to walk in the divine, and Christ came to show us the way. It is by rediscovering our true identity in Him that we can begin to move into the promises of God regarding the miraculous. Bill Johnson not only teaches the supernatural, he imparts it by changing the way we think. If you are not walking in the miraculous, you're living far below your birthright! By laying a carefully constructed biblical foundation for walking in the supernatural power of God, When Heaven Invades Earth provides all the equipment you need to experience miracles every day. And now including a 40 day devotional, Celebrating 10 Earth Changing Years! Chapter 14: Warning to Invade!